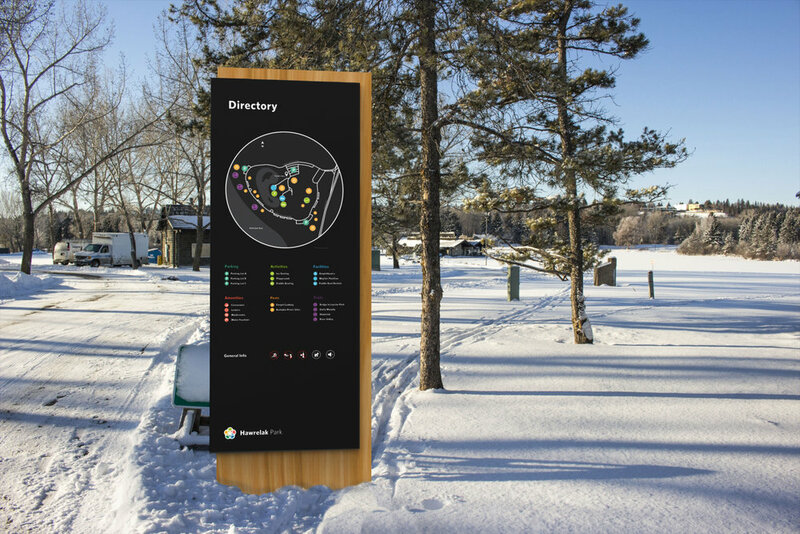 A concept wayfinding system and branding throughout the public park in Edmonton. Working with Deprise Hutton, Shannon Fidler, and Terolenn Mykitiuk we chose the location of William Hawrelak Park within the city of Edmonton. Our goal was to establish a successful signage and wayfinding system throughout the park to help guide old and new visitors to whatever they needed. We began by focusing on using black powder coated plates of steel overlayed onto large slabs of maple wood. The overall goal was to establish a simple and consistent system throughout the park that worked well during all seasons and times of the day.